Good morning. It's Friday, March 8. Scheduling note: The Sun is pausing for a long weekend and will be back in your inbox on Tuesday. • San Francisco braces for a wave of newly minted millionaires. • Holocaust survivor gives lesson to Nazi-saluting teens. • And how L.A.'s Sunset Strip propelled rock ‘n’ roll in the '60s. A transportation engineer in Oakland collected $405,119. A prison surgeon in Riverside pocketed $456,002. California state workers are hoarding vacation days and retiring with six-figure payouts, despite a rule that caps vacation balances at 640 hours. In all, state workers had $3.5 billion in unused leave as of 2017. "It's like having a speed limit but not enforcing it," a public policy expert said. A job fair in Anaheim. Many criminal records would be hidden from employers under a new bill. A groundbreaking bill would automatically clear 8 million criminal records in California. Many people who have completed sentences or whose cases resulted in no conviction are unaware of a law allowing them to seal their records. A proponent of the new bill said fewer than 20 percent of eligible cases are cleared, leaving people trapped in a "paper prison" that puts them at a disadvantage for jobs and housing. PG&E, facing bankruptcy and billions of dollars in potential wildfire liabilities, asked a judge this week for permission to pay $235 million in employee bonuses. The utility earlier scrapped a bonus plan for 2018, deeming it inappropriate. The new ask is for 2019. Wildfire victims, who want to be paid for the losses of their homes, oppose the payouts. "To me, this is a no-brainer," said a lawyer who represents victims. The "Cali-0 Drive Thru" appears to borrow its design from In-N-Out Burger. These shoes remind you of anything? 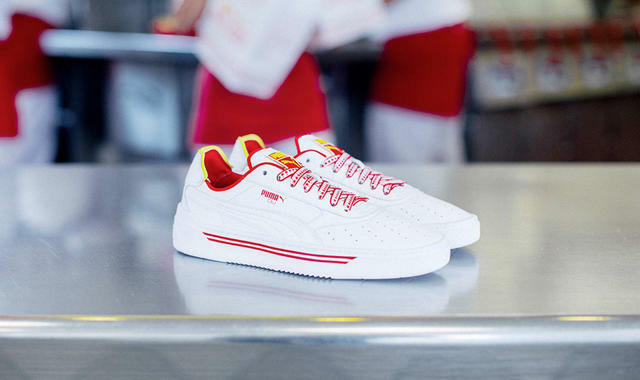 In-N-Out Burger saw something familiar in the design choices of Puma's latest sneakers — dubbed the "Cali-0 Drive Thru" — which sport colors matching those of the burger chain and laces with palm trees. It's filed a lawsuit alleging copyright infringement. The so-called Oz residence in Atherton is a minimalist's delight. 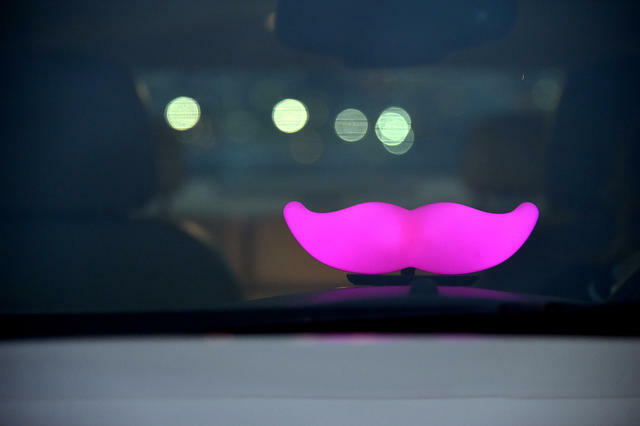 The Lyft logo on a car in San Francisco, where the number of millionaires is expected to jump. This year, Uber, Lyft, Slack, Postmates, Pinterest, and Airbnb are all looking to go public. That will unleash a wave of newly minted millionaires on the Bay Area, many of whom will want houses. A data analyst predicted that the dearth of new units could propel single-family home sale prices to an average of $5 million. "All cash. These are all cash buyers," he said. "It's just going to be astounding." 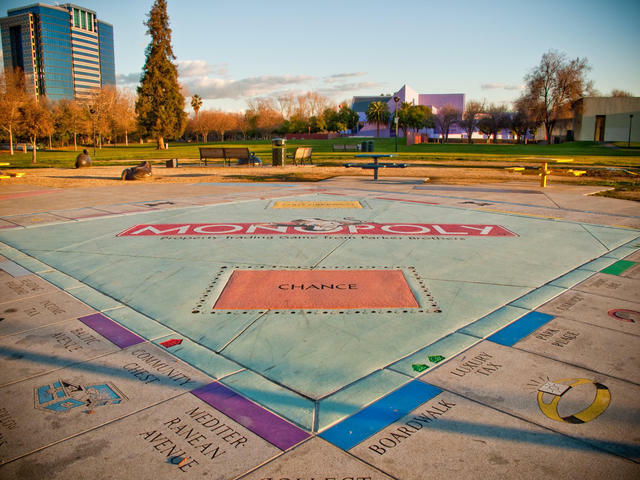 A giant Monopoly board in San Jose makes a long game bigger. California, land of superlatives, is home to world's largest permanent monopoly board. Located in a park in downtown San Jose, the board is constructed to scale out of granite and covers roughly 930 square feet. Play involves gigantic dice, prison uniforms, and hired docents who keep things orderly in the roles of banker and announcer. 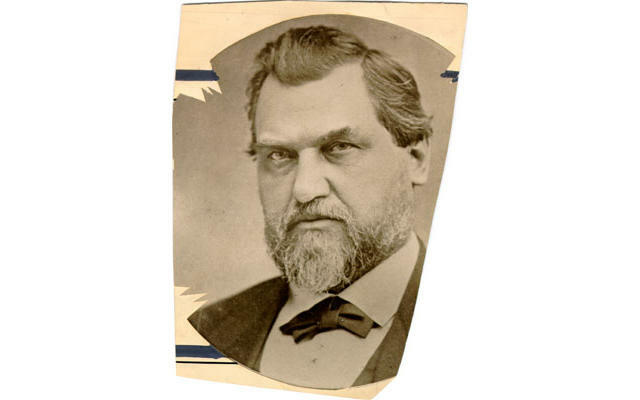 Here's Leland Stanford, former California governor, U.S. senator, and member of the "Big Four" who built the Central Pacific Railroad. Born on this week in 1824, Stanford migrated from New York to California during the Gold Rush and amassed tremendous wealth and power. But he couldn't stop the death of his only son, Leland, who was fatally stricken by typhoid at age 15. Heartbroken, the Stanfords decided to build a memorial to the boy: a university in Palo Alto that opened its doors in 1891. He told his wife, "The children of California shall be our children." Although most people know it simply as Stanford, its full name is Leland Stanford Junior University. 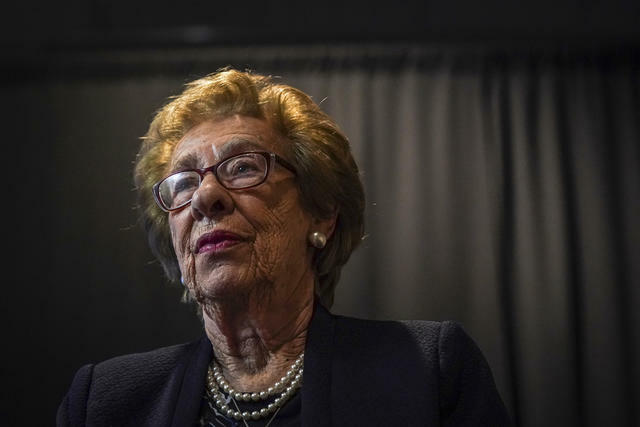 Eva Schloss, 89, said the California students didn't mean any harm. Eva Schloss, a Holocaust survivor and stepsister of Anne Frank, met privately with students who were photographed flashing Nazi salutes at a party in Newport Beach. Schloss, who had already planned a trip to Orange County for a book talk, said she discussed her experiences at the Auschwitz death camp and the students apologized for what they thought was a joke. "I think they have learned a lesson for life," Schloss said. 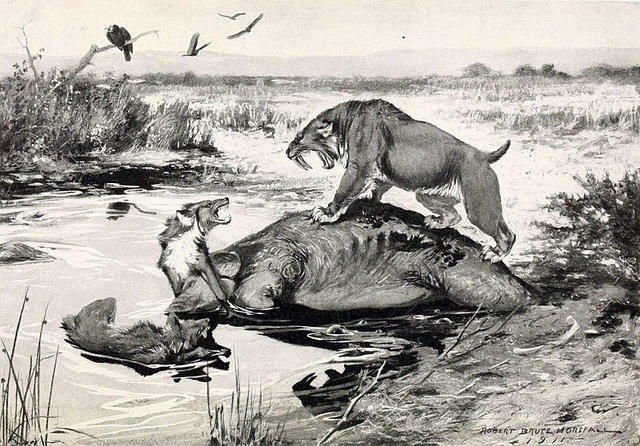 A 1913 illustration shows a saber-toothed cat over a mammoth carcass in the La Brea Tar Pits. A trove of more than 500 Ice Age fossils has been discovered during the excavation of tunnels for Los Angeles's Purple Line extension. They include saber-toothed cats, giant ground sloths, mammoths, and bison that lived more than 10,000 years ago. "Isn't it crazy that you're driving over Wilshire and you have no idea there's this mammoth below you," one paleontologist said. Pigs are lavished with comfort at the gates of a Farmer John processing plant in Vernon. 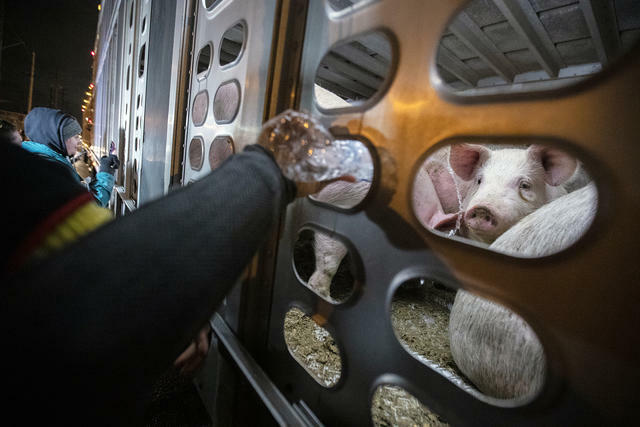 As trucks full of pigs arrive to a Farmer John slaughterhouse just outside Los Angeles, a group of animal lovers are waiting — not to protest but to offer water and comfort to the doomed. The so-called vigils have been held twice weekly for years, with Farmer John's blessing. "That little bit of water we give them — that's probably the only love they'll ever experience," one activist said. 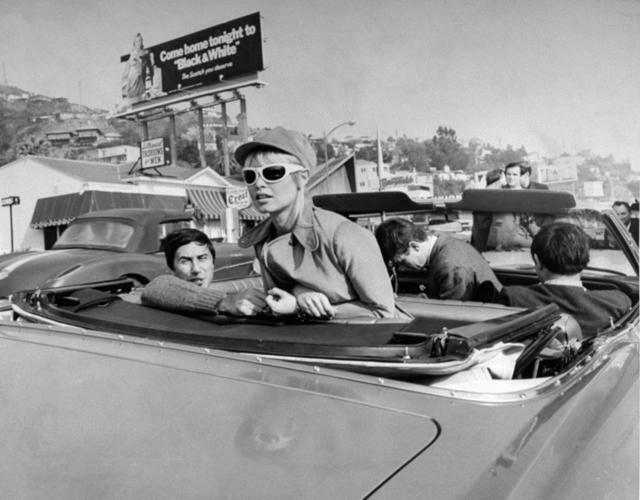 Brigitte Bardot on Sunset Strip in 1965. After a period of decline, experimental jazz clubs and offbeat coffee houses began moving into Los Angeles's Sunset Strip in the 1960s. A vibrant youth culture took hold including musicians who arguably propelled rock 'n' roll into the mainstream. "New York City had the Village — but we had Sunset Strip," a historian said. Here's a great account of the strip in the 1960s along with fantastic old photos. 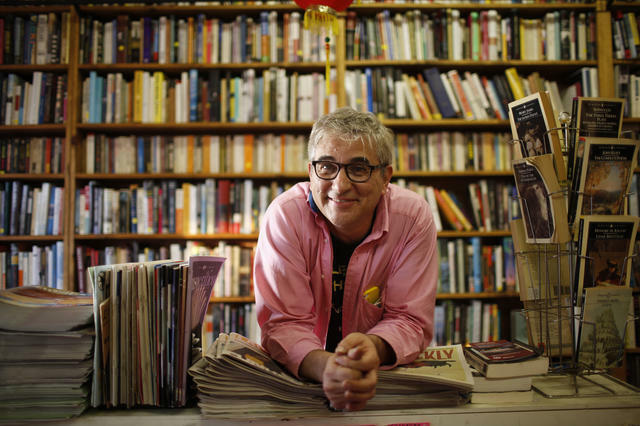 David Kipen in his Los Angeles bookstore Libros Schmibros. On this week's California Sun Podcast, host Jeff Schechtman chats with David Kipen, a cultural historian of Los Angeles who assembled a kaleidoscopic view of the city in his book "Dear Los Angeles." Kipen discusses the futility of defining Los Angeles. "The culture in L.A. is such an amalgam," he says. "L.A. is so many different cultures mixed up together to the extent where all the places that it gets compared to are totally different from each other." 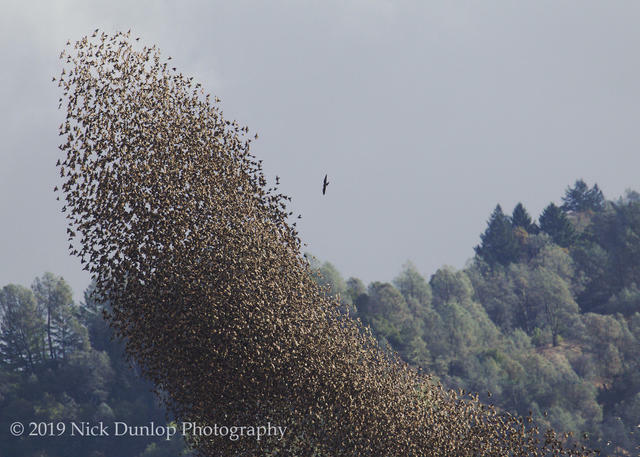 A raptor pursued starlings in the sky over Northern California. To bring new readers to the newsletter, nothing beats the recommendation of a friend — both online and offline. If you'd be up for passing these business cards around, I'd be truly grateful. Just shoot your mailing address to me at mike@californiasun.co and I'll send you some.